Today, Brooklyn Heights is considered one of the most beautiful areas in Brooklyn. The neighborhood is known for its low rise architecture, 19th century brownstones, and cobble stoned, tree-lined streets. Stretching south from Old Fulton Street to Atlantic Avenue, and west from Cadman Plaza/Court Street to the Promenade and the East River, Brooklyn Heights in tucked in between DUMBO, Downtown Brooklyn, Cobble Hill and Boerum Hill. Main attractions of the community include Walt Whitman Park, the headquarters of the Brooklyn Historical Society and of course, the Brooklyn Heights Promenade. The Promenade overlooks the new Brooklyn Bridge Park, sweeping views of Downtown Manhattan, the Statue of Liberty, and is a central location for both locals and tourists alike to photograph the Manhattan Skyline, go for a jog, or just take in the scenery. Transportation is abound with the 2, 3, 4, 5, N, R, A, and C lines, as well as the East River Ferry. 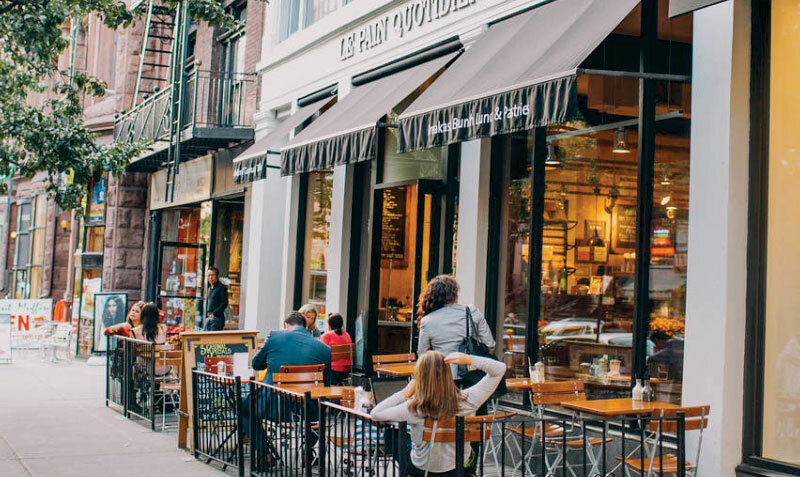 Moreover, whether you are looking for farm-to-table fare at Colonie, impeccable Italian at Sociale, or a simple tavern with fresh oysters and cold beer at Jack the Horse, there is certainly no shortage of delicious food and amazing culture. Brooklyn Heights continues to be a timeless neighborhood of Brooklyn and the exact reason why so many find it to be the perfect place to call home.